I think I mentioned this last week when I wrote about making that banana cream pie, but I am ALL ABOUT baking with brown butter. Luckily, Joy the Baker had a great brown butter recipes roundup recently and I’m determined to bake my way through all of them. 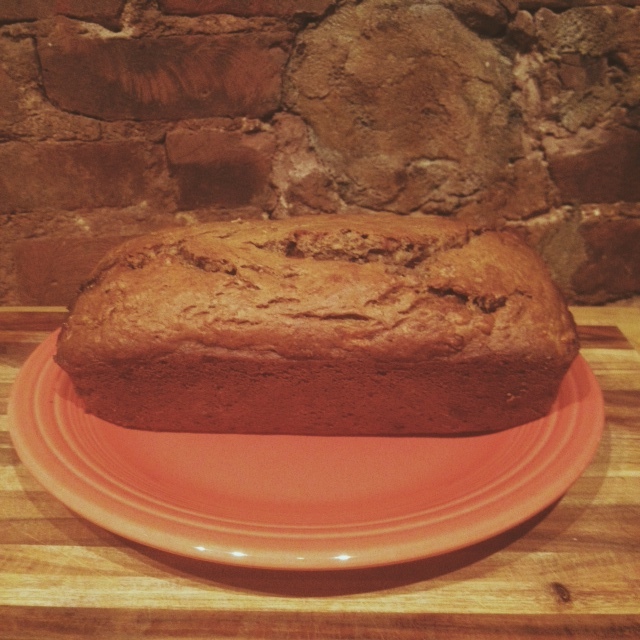 This week I tried her Brown Butter Banana Bread with Rum and Coconut. I changed the recipe up only a little, replacing coconut with chocolate chips. Not because I don’t like coconut – I actually love coconut – but because I forgot to buy some and I like chocolate chips in my banana bread almost always. I thought it turned out pretty great, though I might have overcooked it a little. (The bottom was a smidge burnt.) There was a nice crust on the bread and the addition of chocolate made it a perfect dessert and afternoon snack. I truly appreciate this submit. I have personally been shopping everywhere due to! Thank heavens I noticed this on Google. You earn my very own morning! Many thanks again!